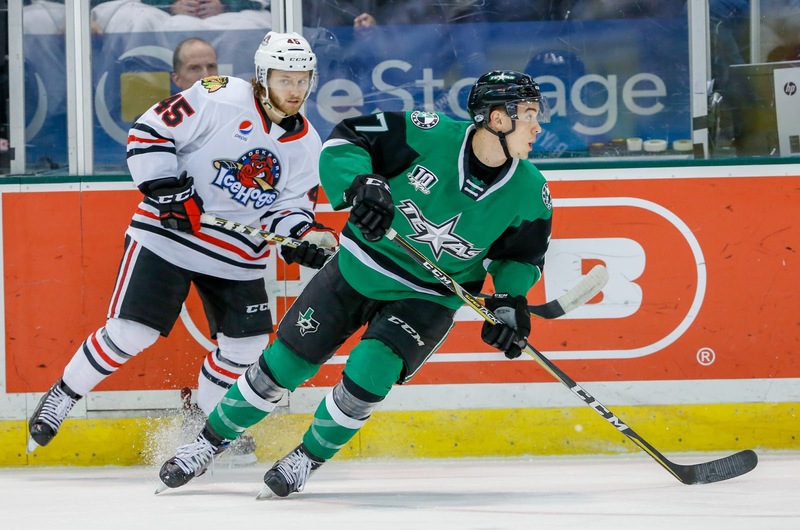 The Texas Stars are wilting at just the wrong time. Two losses in Manitoba dropped them to seventh place in the division just as the San Antonio Rampage are surging. The Rampage are on a six-game point streak even as the Rodeo Road Trip begins and could pull ahead of Texas if their road record is better than Texas's in the month of February. But tonight's opponent is not the Rampage; it's the IceHogs. Rockford is sitting fourth in the division. Heavy hitters like Dylan Sikura and goalie Collin Delia are in Chicago helped to fuel their own surge up the standings. The IceHogs just suffered their first loss in seven contests, going 7-3 over the last ten games. How many more ways can it be written that Texas just needs to win road games? It doesn't have to be a perfect record, but 50% would be a massive improvement at this point. 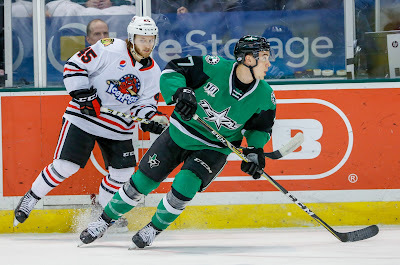 The Stars are especially depleted today with Sam Laberge serving the second game of his suspension for a high hit on Saturday. Spencer Naas was recalled yesterday to backfill the gap.